He received his doctoral degree in mathematics at Universität Stuttgart, Germany, in 1996. He had held various research and assistant positions with that university before he joined the Numerical Analysis group at the Department of Mathematical Engineering at Universidad de Concepción (UdeC), Chile, as a Full Professor in 2005. His main area of research is the mathematical and numerical analysis of degenerate parabolic equations, systems of conservation laws, and related problems with applications to mineral processing, wastewater treatment, traffic modeling, mathematical biology and others. He recently contributed to the formulation and numerical solution of models of reactive settling that incorporate bulk flows, hindered settling, compression, and biological reactions. These phenomena arise in the activated sludge and related processes. His main collaborators on that topic are Stefan Diehl (Lund University, Sweden), Ingmar Nopens (Ghent University, Belgium), and Elena Torfs and Peter A. Vanrolleghem (both Université Laval, Québec, Canada). Raimund Bürger is also sub-director of the Research Center of Mathematical Engineering (Centro de Investigación en Ingeniería Matemática, CI²MA) at UdeC, and Associate Researcher of CMM and of the Center of Water Resources for Agriculture and Mining (Centro de Recursos Hídricos para la Agricultura y la Minería, CRHIAM) at UdeC. He has co-authored one book and more than 120 articles in refereed journals, and has supervised 18 doctoral students and postdoctoral researchers. He received his degree in Electrical engineering in 1982 from the Université Catholique de Louvain, Belgium. He completed his Ph.D. thesis and a « thèse d’agrégation de l’enseignement supérieur » in 1986 and 1994, respectively, also at the Université Catholique de Louvain, Belgium. 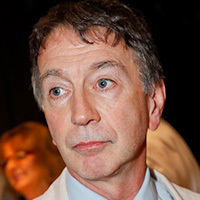 He has been CNRS associate researcher at the LAAS (Toulouse, France) in 1989, and Professor at the Ecole Polytechnique de Montréal, Canada in 1987-88 and 1990-92. He has been with the FNRS (Fonds National de la Recherche Scientifique, National Fund for Scientific Research), Belgium since 1990. 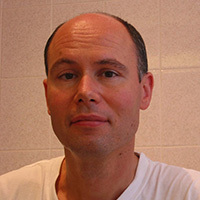 Since September 1999, he is Professor at the ICTEAM (Institute), Université Catholique de Louvain, Belgium, and Honorary Research Director of the FNRS. He has been invited professor at Queen’s University, Kingston, Canada between 2002 and 2004. He is full professor at the UCL since 2005. 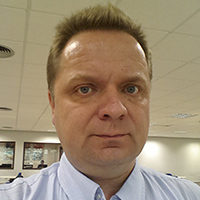 He is the Editor-in-Chief of the Journal of Process Control and associate editor of the IEEE Transactions of Automatic Control and of Automatica. He is active in IFAC since 1999 (Council member, Technical Board member member, TC and CC chair, chair and presently member of the IFAC Publication Committee). He received the IFAC outstanding service award in 2008 and is an IFAC fellow since 2010.His main research interests are in the field of nonlinear systems, thermodynamics based control, parameter and state estimation, adaptive extremum seeking control and distributed parameter systems, with application to microbial ecology, environmental, biological and chemical systems, pulp and paper processes, polymerisation reactors, and electric systems. He is the (co-)author of 4 books, more than 125 papers in refereed journals and 230 international conference papers. He possesses a Biochemical Engineer diploma (2004) and a Doctor degree in engineering Sciences (2008) both given by the Pontificia Universidad Católica de Valparaíso (PUCV), Chile. After his PhD these, in 2009 Andrés moved to Spain (Valladolid) to do a one year postdoc project, under the frame of the NOVEDAR_ CONSOLIDER project, in data modeling from anaerobic reactors as well as experimental and pilot work with pretreatment technologies for sewage sludge biomethanation improvement. 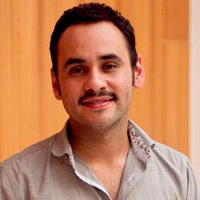 In April of 2010, Andrés starts his second postdoc as a Researcher in the Service d’Automatique, Faculte Polytechnique, Université de Mons, Belgium. During April 2010 – 2011 his work was funded by Belspo (Belgian Science Policy) as a Postdoc fellow on the subject of modeling and identification in anaerobic digestion systems. During April 2011 – 201 worked as a researcher of the WAGRALIM project NUTRIVERT funded by the Walloon Region on the subject: Mathematical Modeling of the anaerobic digestion in aquaculture systems . 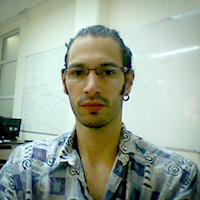 In June 2012, Andrés gets back to Chile with a postdoctoral contract with the PUCV and INRIA Chile. Between January – April 2013 as well as March April 2014 he does an Research internship funded by Conicyt at the Department of Chemical and Materials Engineering, University of Alberta. Canada. Andres work in Advanced mathematical modeling of the catalytic oxidation of ammonia and other chemical process using Computational Fluid Dynamic (CFD). At the end of 2013, he got a 3year Conicyt Funded research project in evaluating pretreatment technologies on the anaerobic digestion of agricultural waste. Currently, his main tasks are pilot plant design, implementation and operation and mathematical modeling. Andres has 35 ISI papers and H index of 10 and has participated numerous international congresses and has given more than 17 scientific lectures all over the globe. He is a senior researcher in automatic control at LBE-INRA. His domaine of expertise is the modelling and control of microbial ecosystems and bioprocesses. 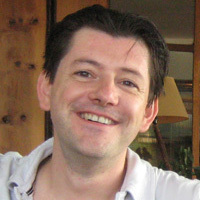 He is the actual coordinator of the Euro-Mediterranean research network TREASURE (http://www6.inra.fr/treasure) and the head of the SAMI (“Système, Analyse, Modélisation et Informatique”) team at the LBE. He has co-supervised 11 PhD students and is currently co-supervising 5 others; he is and has been involved in many National and International projects. He has 3 patents and has authored or co-authored about 150 references with approximately 70 journal papers. She has obtained her Ph.D. on Chemical Engineering (Biotechnology), University of Reading and University of Chile in 1999. Her area of expertise is the development of isolation and purification methods for proteins, bio-products purification, production of high-value chemical from lignocellulosic and macroalgae biomass. 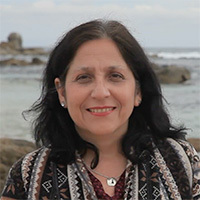 She is Associate Professor in the Department of Chemical Engineering and Biotechnology at the University of Chile and principal researcher in the Centre for Biotechnology and Engineering (CeBiB). She has published about 35 publications in recognized journals in biotechnology areas. She has led, either as director or as main research, about twelve projects in the last 10 years. He has obtained his Ph.D. on Process System Engineering in Universidad de Valladolid, Spain, in 2013. His areas of expertise are process control and real time optimization. He is faculty of the Chemical and Environmental Engineering Department (DIQA), Universidad Técnica Federico Santa María (UTFSM). Actually, he is collaborating with the Mathematical Department of UTFSM, studying decomposition algorithms for the optimization of large-scale processes. Recently, he has published a reformulation of the modifier adaptation methodology as a nested optimization problem, with the idea of finding the necessary conditions of optimality of uncertain processes. He received his PhD from Ecole des Mines de Paris (France) in 1994, and after a two-years postdoctoral position at Imperial College, London (U.K.), he get a position as a full researcher at INRA (Institut National de la Recherche Agronomique), Montpellier (France).In 2003. He received the “Habilitation à diriger des recherches” in mathematics from University Montpellier and has been promoted as “research director” in 2005.From 2009 to 2014, he has been the head of the MISTEA (Mathematics, Informatics and STatistics for Environmental and Agronomics sciences) lab, Montpellier, and the team leader of MODEMIC (Modelling and Optimization of the Dynamics of Ecosystems with MICro-organisms) group from 2011 to 2015.He research interests concern dynamical systems, differential equations, control and observation of dynamical systems, optimization and optimal control with applications in modelling, design and supervision of microbial ecosystems and the management of renewable natural resources. He is the author of 67 articles in international per-reviewed journals and has supervised 19 PhD and postdocs.From 2010 to 2015, he has been the french investigator of the franco-chilean DYMECOS (DYnamical Microbial and Environmental eCOSystems) research group. He has obtained his Ph.D. on Applied Mathematics in Université Paris Sud Orsay, France, in 2005. His area of expertise is mathematical modeling and numerical analysis in environmental sciences, with an special emphasis to applications in geophysical fluid dynamics. 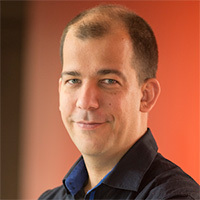 He is the scientific head of the Inria team LEMON in Montpellier (France), after he started his career in Inria Grenoble. He has published about 30 publications in recognized journals in mathematics and other related areas; he is associate editor and reviewer of several research journals on PDEs and applications. He has been part of several research project in France, and also in Chile where he spent 8 months in 2016 in the framework of Inria Chile and the international center for marine energies, MERIC. He received his Ph.D. on Applied Mathematics in Université Montpellier II, France, in 2012 from which he started a first postdoctoral position granted by the French Institute INRIA. 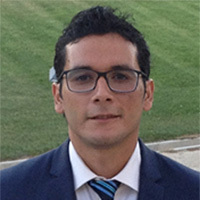 As this position included a Chilean partnership, Matthieu moved to the Universidad Técnica Federico Santa María of Valparaíso in january 2016 where he is still in activity at the moment. After this first postdoctoral position, he worked briefly as a research engineer in the BIONATURE Team of the Chilean fundation INRIA Chile. In November 2014, he started a second poctdoctoral position granted by the Chilean comision CONICYT which is his actual position. His area of expertise is optimal control applied to bioprocesses and environmental sciences.